The bench press is absolutely one of the best exercises for an amazing upper body. Plus it’s great for your core! And like most exercises, the size and development of those muscles from the bench press depend heavily on building strength and lifting heavier weight over time. The average time of how long it takes to bench 225 pounds for reps seems to be about one year of serious training. Some people reach it a lot faster (4-5 months or so) or slower (2 years or more). For reference, I’ve been lifting seriously for a little over a year and a half and can’t bench 225 for reps yet. But I also weigh about 130 pounds and have spent a lot of that time cutting to get lean and toned! 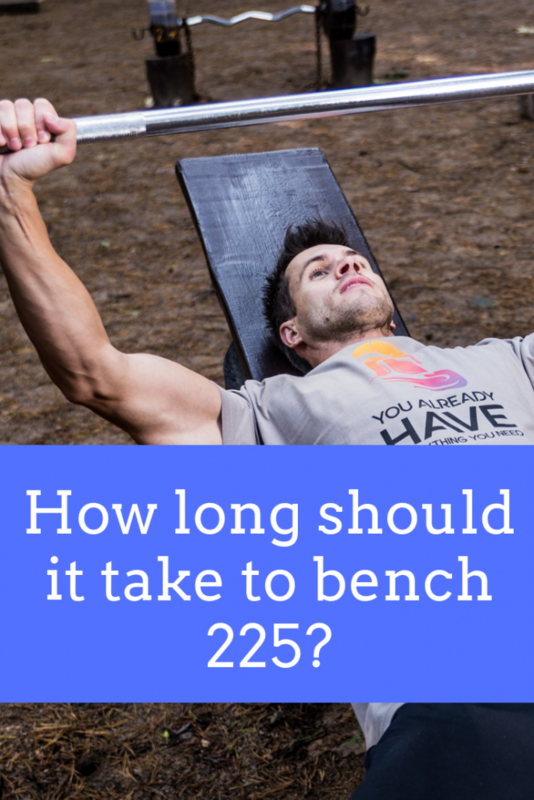 Let’s dive in a little bit and take a look at some of these factors that go into how long it takes for you to bench 225, 315, 405, and beyond. Overall bodyweight seems to be one of the biggest factors in your bench press strength. Simply put, when you weigh more it’s easier to bench more. This is true of a lot of lifting exercises, but it applies much more to the bench press than to, say, bicep curls. That last one is one of the most credible explanations I’ve seen so far. Regardless of WHY it’s true, just know that is true. That’s why when you’re cutting and losing weight, your bench press is often one of the first and most severe lifts to suffer. In regards to this discussion, you’ll bench 225, 315, or 405 a heck of a lot faster when you weigh more. If you’re 250 pounds, a 225 or two plate bench isn’t even bodyweight! For guys who are very lean and light, it’ll be a lot more challenging to reach that number. You’ll bench 225 pounds a lot faster if you bulk, bulk, and bulk some more until you get there! 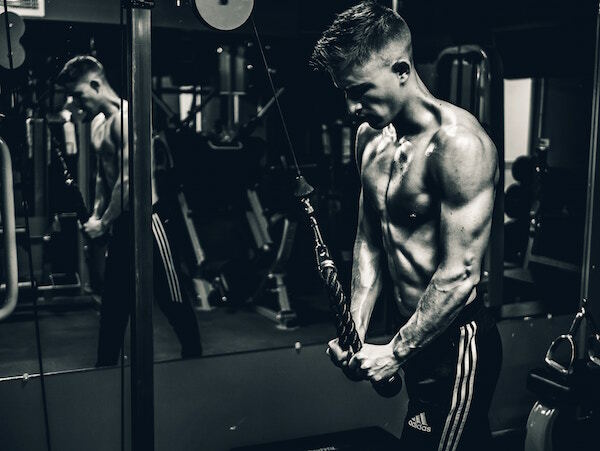 That’s where you gain strength extremely easily and quickly on all of your lifts, even if you’re losing weight because your body is learning how to recruit muscle fibers and execute the movements. At some point, those fast gains will run out if you’re not eating enough food to gain muscle on a bulk. It’s probably a better idea to take your time and avoid too much unwanted fat gain from bulking. A nice, slow, lean bulk should do the trick, along with a few cutting cycles along the way to stay lean. It’ll take longer to get to 225 this way, maybe closer to the year or two-year plan. If you just want to reach an impressive bench as fast as possible, lift heavy and eat away! If you were able to bench press 225 or more in the past, you’ll probably reach that level faster than your average untrained person. Retraining your muscles is easier and faster than building them from scratch. This will definitely work to the advantage of high school or college athletes who haven’t lifted in a few years. You’ll be able to regain that strength a lot faster. Complete newbies will take longer to reach a 225, 315, or otherwise impressive bench press. Keep that in mind when people claim they benched 225 after 3 months of training. It’s possible they had the muscle and potential the whole time and simply needed to reactivate it. There’s a lot of debate about whether “hardgainers” are actually real. But one thing I think that shouldn’t be disputed is that different people gain at different speeds. Put two people of the same bodyweight, untrained, on the same program, eating the same food, and I highly doubt they’ll both reach a 225 bench at the same exact time. Some people are just naturally faster and others are naturally slower. You have to optimize your training and diet and work hard within the confines of your genetics. This is another one that’s hotly debated. And when you look at the research, arm length is probably only a very small indicator of bench press strength. Simply put, people with longer arms have a much longer way to push the weight. That requires more effort, stamina, power, and pushing strength. People with shorter arms, on the other hand, may have a slight advantage due to the shortened range of motion. This isn’t a massive deal, but it could explain why there are some minor differences in bench strength between people with similar body types, training experience, and nutritional approaches. To bench more, you have to bench more! There are a lot of different approaches to this, way too many to list here, and none is necessarily better than another. Your mileage may vary based on any one of these approaches. But it’s safe to say that if you’re not consistently training the flat bench press every week, it will take you a lot longer to progress on that movement. Conversely, overtraining the bench could exhaust your chest muscles, derail your recovery, and cause progress to be slower. Due to simple physiology, women have less muscle mass in their upper bodies than men do. For that reason, women will usually bench press a lot less than an equally trained man. Is 225 pounds a realistic bench press goal for a woman? It’s hard to say for sure. There are tons of women who can bench press that much weight and more for reps. But according to most strength standards, a 225 bench for a woman under 200 pounds would be an extremely competitive (advanced or elite) level lift. 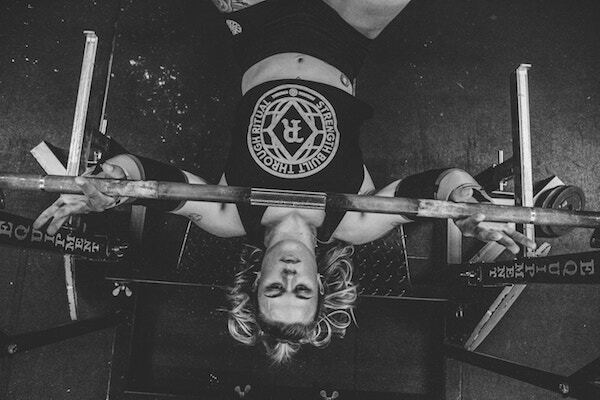 If you’re a woman and you can rep 225, you should be competing in professional powerlifting. But go for it! Just know that it will probably take you many years of focused training to reach that level of strength. If you spend too much time on YouTube fitness and BodyBuilding forums, you start to feel like a complete loser if you can’t bench over 300 pounds. But the truth is that anyone who’s been to a commercial gym can tell you 90% of men can’t bench press 225 pounds. If you can, you should be super proud. It shouldn’t be the end-all goal! There’s plenty of room to improve beyond that. But yeah… it’s impressive that you put in probably a solid 6 months to 2 years of dedicated training in order to achieve something most people can’t do. How long does it take to bench 315 or 405? This is a harder question to answer. One reason being… a lot of people never bench 315 pounds even after many, many years of training. If you’re not training properly and eating just right, you’ll probably never get there. BUT, assuming you’ve got your routine locked down, you could technically bench 315 about 5-6 months after benching 225 if you added 5lbs per week or so. In reality, that’s enormously difficult to do, especially after you’ve already milked your newbie gains. Experiment with pause bench, wide/close grip bench, etc. If you’re not really dedicated to the goal, it’ll be super difficult to achieve. For casual lifters who just like working out and want to look good naked, a 315 bench is going to be a pretty lofty goal. But if you set your mind to it and give it a few years, you can get there. How long does it take to bench 135 pounds for reps? If you’re a fully grown man who weighs about 130 pounds or more, you should be able to reach a 135 (one plate) bench press after a few months of solid training. If you’re naturally skinny and lean, or don’t weigh much because you’re short (like me! ), it might take a little bit longer. A 135 bench press for someone who weighs 120 pounds is actually pretty respectable! But if you weigh 160, 170, or more, a 135 bench should come pretty easy during the newbie gains phase. A 135lb bench press for most women would be an intermediate to advanced but hardly unreachable lift. Most women could probably hit that number after a few years of training. Factoring in all of the above, it should take somewhere around 1 year of dedicated training to bench 225 pounds for reps as a man. But don’t let that discourage you if it takes longer! There are lots of legitimate reasons that your progress might be slower, and in some cases, it might be a good thing (like keeping your bodyweight and fat levels low). Some people also reach that level and beyond much faster. If you’re interested in a good bulking program that’ll help you stay lean and cut while also building strength on the bench press and other key lifts, check out my favorite bulking program for men.